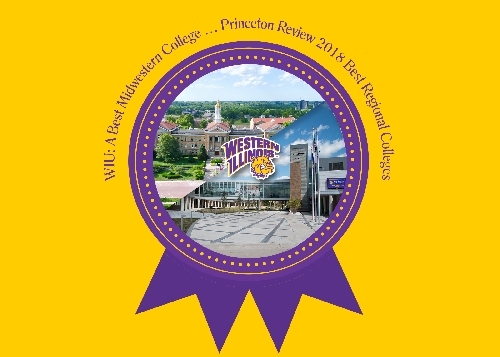 MACOMB/MOLINE, IL -- The Princeton Review has long acknowledged Western Illinois University for its outstanding programs, services and resources, and for the 14th consecutive year, Western Illinois University has been named a "Best Midwestern College." Western is one of 158 regional universities, and one of two Illinois public institutions, named to the "Best in the Midwest" list. The 158 colleges included in the "Best in the Midwest" list are located in 12 states: Iowa, Illinois, Indiana, Kansas, Michigan, Minnesota, Missouri, Nebraska, North Dakota, Ohio, South Dakota and Wisconsin. Collectively, the 658 colleges named "regional best(s)" comprise 25 percent of the nation's 2,500 four-year colleges, according to The Princeton Review. "Western Illinois University continues to achieve excellence and be recognized for its noteworthy academic programs and resources," said President Jack Thomas. "I am excited The Princeton Review has, for many years, acknowledged our University's efforts and initiatives. 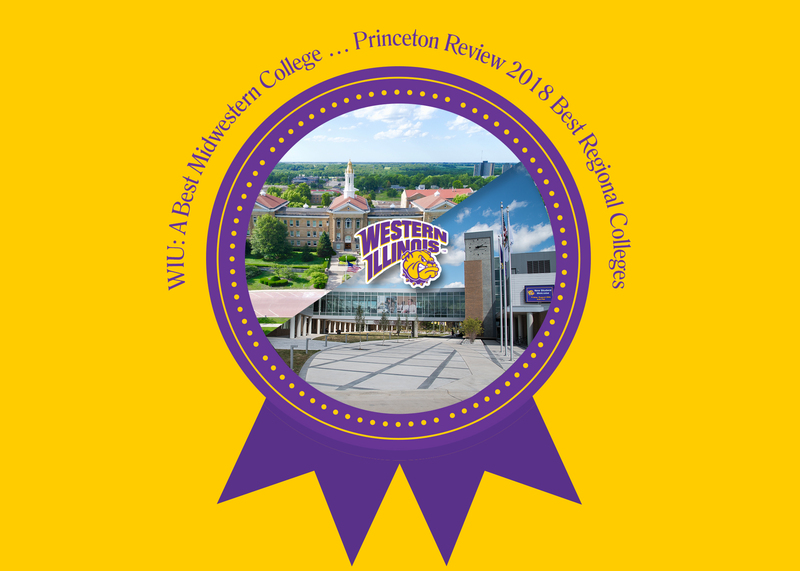 This recognition further demonstrates the quality and world-class education we provide at Western Illinois University. As I continue to say, we are a great institution because of people. Our faculty, staff, students, administrators, trustees and alumni continue to make Western an outstanding university." The Princeton Review editors make the selections based on data the company collects from its survey of administrators at several hundred colleges in each region, as well as its staff visits to schools over the years and the perspectives of college counselors and advisers, whose opinions the company solicits. The selections also take into account what students at the schools report about their experiences via an in-depth survey. The Princeton Review asks students to rate their own schools on several issues, from the accessibility of their professors to the quality of the campus food, and to answer questions about themselves, their fellow students and their campus lives. Students commented that WIU has "a very homelike atmosphere," "fun events" and "plenty of organizations," and that "Most professors I have encountered seem genuinely pleased to go out of their way to help you." The Princeton Review also rates the schools on its "2018 Best Colleges: Region by Region" list in six categories. The rating scores (on a scale of 60 to 99) appear on the school profiles and are tallied from institutional data the company obtained from the colleges in 2016-17 and/or its student-survey data. Western received the following rating scores: Admissions Selectivity , Professors Interesting /Professors Accessible , Financial Aid , Fire Safety  and Quality of Life .